Finally it's December, and it's socially acceptable to turn up "All I Want for Christmas Is You" in the car and haul down the boxes of decorations from the attic. I went to my local shopping centre at the weekend and took some photographs of the flying snowmen and presents, as you do. There sparked an idea; I should write a Christmas to-do list for the blog! No, taking photos of snowmen and presents isn't one of the 25 things, but you can add it to the list if you like. So, here I have for you the ultimate check list to fully complete by 11:59pm on Christmas Eve. Okay fine, get at least ten ticked off. No excuses! Think about it; ice skating is like dancing in a winter wonderland, because it's so chilly and there's festive music playing and the rink is merry and bright with fairy lights everywhere. You're skating (or tumbling clumsily over onto your bum) and laughing your head off with your friends, and there's no better way to feel warmer, even in a frosty room (or, if it's outside, in the cold, crisp air). So grab your friends and ice skate to start off the season. Remember to wrap up a bit and be careful! My favourites include Michael Buble's classic covers, Hayley Westerna's album "Winter Magic" and this mix of songs. I made the playlist two days ago for those who’d like something bit different from the usual Christmas tunes - with covers from Christina Perri and Panic! at the Disco, to originals by Fall Out Boy and Ariana Grande, there’s sure to be one song there you hadn’t heard before to add to your playlist. Happy listening! What's Christmas without a fir tree, fairy lights and stockings?! Get decorating! I recommend to maybe wait a bit for the tree (if it's the real deal) as you don't want it to die on you (how tragic that'd be), but get those garlands, wreaths and climbing Santas down from the attic as soon as you can - Christmas goes by in a flash, and we all know that. For a big night out with those you love, why not head to a show at the theatre? Pantomimes are the classic Irish tradition for young families, while I love musicals. There’s lots of performances on in Dublin this month, from "Mary Poppins" and "The Snowman" in the Bord Gais, "Little Red Riding Hood and the Big Bad Wolf" in the Gaiety and "A Christmas Carol" in the Smock Alley Theatre. Maybe there’s a Christmas concert you’re dying to go to as well. Buy those tickets and prepare for a fun evening out! 6. Bake some cookies, mince pies, Christmas cakes etc. 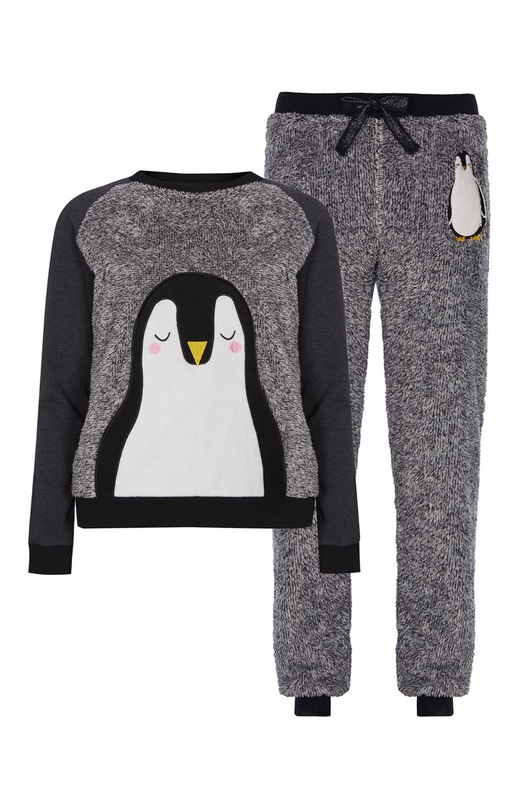 The nights are longer so it’s time to get snug in cute PJ’s or a Christmas onesie! Here are some of my favourites below, all from Penney's. The other week I bought new Star Wars pyjamas from Penney’s, of course in celebration of the seventh episode out on December 17th. To say I’m excited is an understatement (cue me squealing every time I see the trailer or anything linked to the movie). 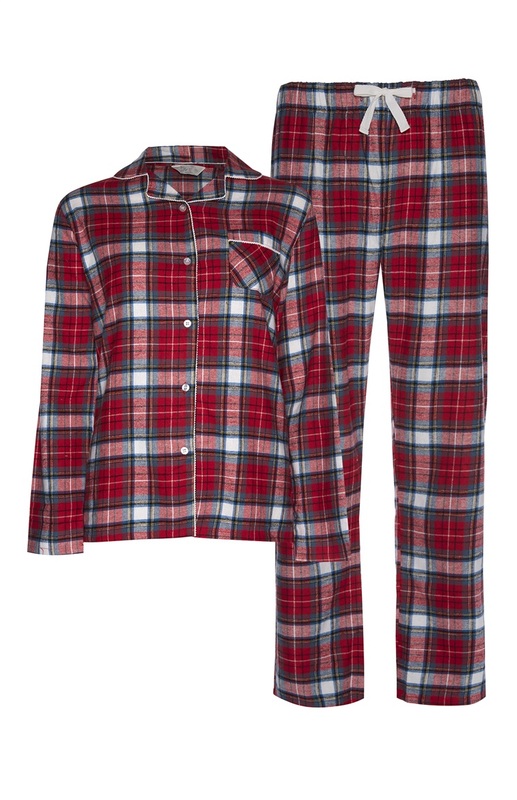 So the sci-fi franchise is the theme of my winter loungewear… what will yours be? Did you know there was a time before Snapchat, Facebook, Twitter and emails? Yes there was, believe it or not! Why not go old-school this year and send out Christmas cards instead of e-cards and pictures that disappear in 5 seconds. Even better, try and make the cards yourself, with glitter and glue galore. The simplest things can make others smile the most. The Christmas break is the perfect time to lie back on the couch by the fire with a hot drink and a winter book, whether it’s a cheesy romantic story or a creepy tale. I’ll be reading "Let it Snow" by John Green, Maureen Johnson and Lauren Myracle (what a great name!) in the next few weeks, while there are lots of other books suitable for the most wonderful time of the year, like "A Christmas Carol" by Charles Dickens, "I'll be Home for Christmas" by Roisin Meaney, or "Under the Mistletoe" by Mary Balogh. Christmas is the time for love, peace and giving back. Sometimes we can get absorbed by the consumerism of Christmas; presents, decorations and just spending, spending, spending cash. Don’t forget to spend time to remember what it’s really all about. If you’re a Christian, then celebrate the Advent season and the birth of Jesus, and spread the love. However if you’re not, you should still give love to your family and friends, take it easy and give back by helping people who need that help. Maybe lazy evenings ain’t your thing and you're ready for a party! Invite some friends or hundreds to a small get together or a Christmas extravaganza in your house (or maybe even go far and book a room in a hotel). There’s a lot to organise, from music, to food and drink, to what the host should wear (most important part). Remember to have a fabulous time! Every year, the five of us head into Dublin for the day for some (last minute) shopping and goggling at the gorgeous picturesque lights and decorations on Grafton Street. There’s just something magical about Dublin at Christmas - walking in the chilly air with heavy coats, hats and gloves, shopping bags in hand, stumbling past the bustling crowds in the dark but lit up streets. As I’ve said before, going to Dublin can be a novelty for me, as I’m near but a bit far from the centre. Plan a day out with family and friends maybe to your nearest city or to a fun fair (Funderland anyone?) and have a bit of a potter and a lots of laughs. I’m not that much of a candle person; for me, the scent of the Christmas tree or Christmas dinner will do. However, some Yankee candles are deliciously too good to walk past in the shop (except they’re pretty pricey, so I charge ahead), and I’d love there to be a Bath and Body Works nearby ('Mahogany Teakwood', need I say anything else). Stock up on the best Christmas candles for cosy nights, especially if you don’t have a fir tree in your home. It’d be ideal if it was snowing, but in Ireland it’s unlikely. If you’re having a white Christmas, go on a walk through the icy woods, build a snowman or two and make snow angels. If you’re like me and you’re not expecting a single snowflake to fall (although you never know!!) then head out, wrapped up, with whoever is willing to go your family to the park for a dull, cold but beautiful morning, afternoon or evening stroll. It’ll hopefully be a wonderful way to bond with them. Take a visit to that parish or school fair, or the Christmas markets in the city centre, as you never know - you could find something perfect for someone unexpectedly. Fairs are usually in aid of charities when in a school, and when in a parish in aid of that parish, so it's really nice to show some of your support. I am really lucky this year as my History teacher has organised a trip to Munich and Nuremberg on the 12th of December. For one of the nights, we'll be out and about at one of the Christmas markets, according to the itinerary. I had to google these Christmas markets and -oh-my-goshhhhh- they look beautiful! All the Vlogmas YouTubers will be jealous, because I'll have some sha-mazing video footage. Well, I know I like to plan these outfits. 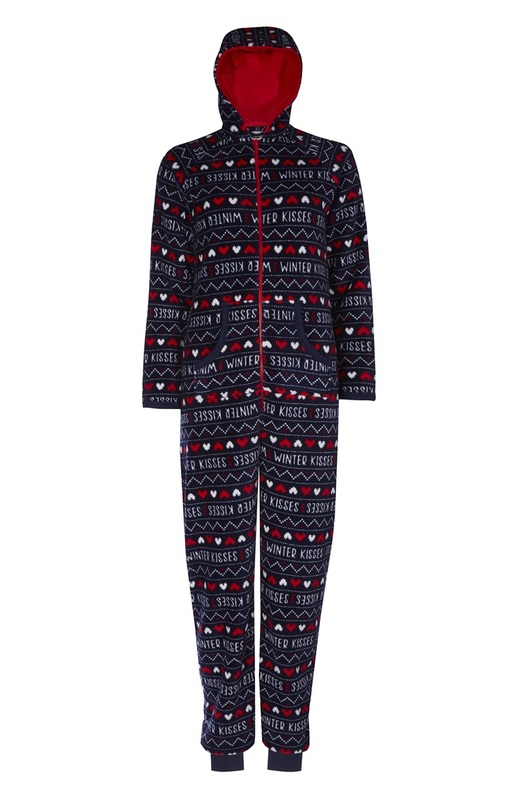 On Christmas Eve, if you’re staying in for a movie night, a onesie or comfy pyjamas is key - same for Christmas morning. Maybe you’re heading out the night before - try jeans, boots and a blazer for a classy look. For Mass, I like to dress formally with a dress or skirt, and for Christmas Day with the family, I always go for a chic but comfortable outfit. Soon, I’ll be doing a lookbook on my YouTube channel for specific Christmas activities, and here on queenofquirk.com there’ll be make up looks, outfits and nail designs for inspiration. Wear whatever you want, whenever you want; it's Christmas! I’ve never done this before as I’m not really a fan of gingerbread, but wow, it looks like so much fun. I’d win the award for worst gingerbread house ever, as everything would just fall over and crumble - but maybe you’re not like me and you’ll put together a fantastic house, with colourful sweets, white icing and sophisticated decor. I would love to do this, but I wouldn’t eat the house, so there’s not much point, right? I'm joking, please don't wrap up your cat! I go to Christmas Eve Mass every year and it is always such a wonderful, peaceful ceremony. It's magic as it's dark outside, and I'm buzzing with Christmas excitement and the carols are just beautiful. If you don't go to Mass, then stop and listen to some carol singers when you're out shopping to feel that special magic feeling. Try out a snowflake paper chain, a glittery bauble or a festive sign. Again there are tons of ideas on Pinterest or on blogs and YouTube videos. Nope, I will probably not do a blog post on how to make decorations. I'm the last person you'd ask advice from when it comes to craftiness. Winter nail colours are the best; crimson, navy, maroon, black, icy blue, glitters and sequins, dark green, grey... I could go on! While catching up on some Vlogmas videos why not take some time to perfect that Christmas manicure? I bought a gorgeous set of nail polishes from H&M (it was an impulse buy, I'm sorry), a rich red and a matching glitter red top coat - can't wait to try it! 23. Go see "Star Wars: The Force Awakens"
I’m only joking 100% serious. Have you seen the amount of Lush Christmas Hauls this year? There must be a reason. Try out some Lush bath bombs, bath bars and face masks from the Christmas range. I will definitely be doing this soon! As well as taking a bath and putting on a face mask, paint your nails, slip into those winter PJ's and cosy socks and turn on "Elf". Feel relaxed? Yes? Good. Not invited to any Christmas Eve parties? Don't fret, as I've got your night sorted - track Santa. Yup, that's it. Follow Santa country to country and get as exhilarated and bubbly as Buddy below when he's about to stop by your home. 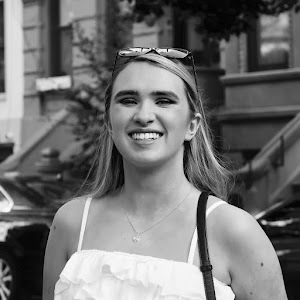 I feel all warm and fuzzy after writing up this list; I hope you do too! There's now only 23 sleeps to the big day. If you're a big Christmas lover like me, make the most of the season. Thank you so much Roisin! This post is perfection! I love the holiday season so so much...and I have already done quite a few things on this list. I hope to do pretty much all of them before Christmas arrives. Loved this post, can't wait to do some of these things!